It is no secret that, most of us make use of a hair dryer post shower to dry hair and style them in the manner that we want. You will need it especially in winters, when the wind and wet hair combination can leave you sick with cold or headaches. 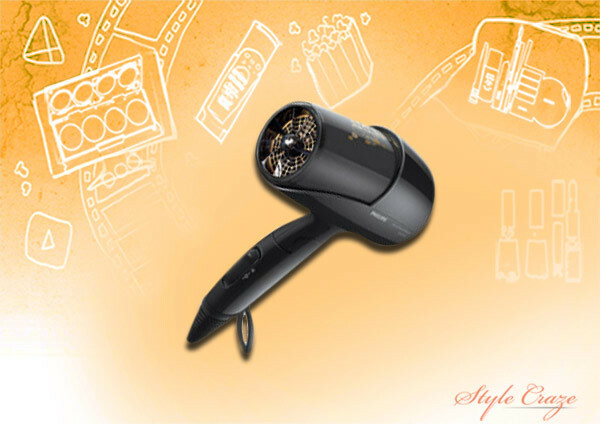 Hair dryers not just help in drying hair, they also help in creating hairstyles. With the help of these machines, hair gets volume and style that stays for a long time. A perfect blowout is very essential to get that look right. At the end of the day, it is the frizz which gives way to other hair styling problems. It is even more important to buy the right kind of hair dryer. 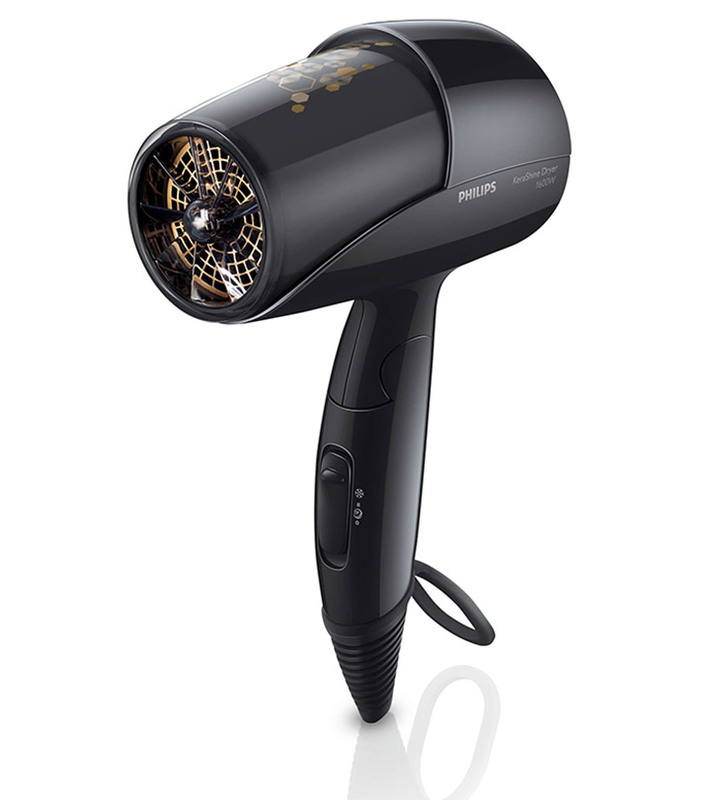 So here Philips tops the list in hair dryers among many brands in this category. 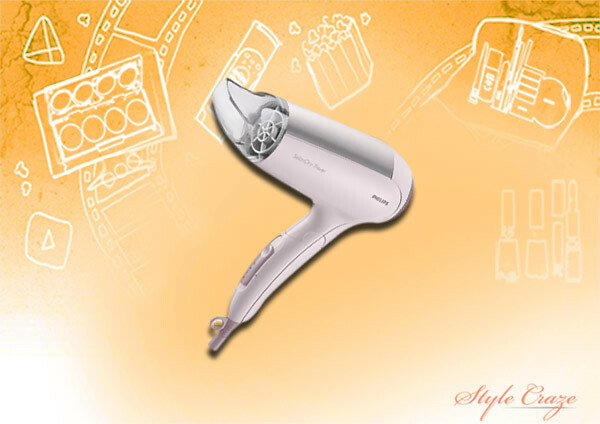 Philips hair dryers are extremely reliable and less power consuming too. So today we thought of listing out the top 5 Philips hair dryers in India. Read on to know how you can use Philips dryers to create some added bounce when you have that extra little time in your hands. 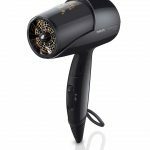 So now let’s start with the top 5 Philips hair dryers, shall we? 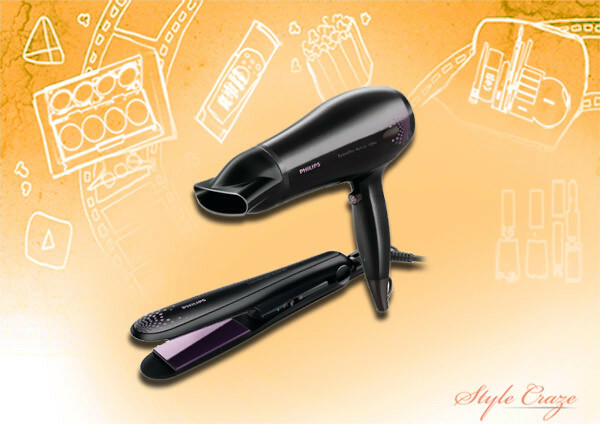 This limited edition gift set of hair dryer and straightener from Philips is newest on the block. It comes with ceramic coating and has two speed settings for you to choose from. It is available in warm pink colour. It is a 1000 W device and holds a 2-year worldwide guarantee. 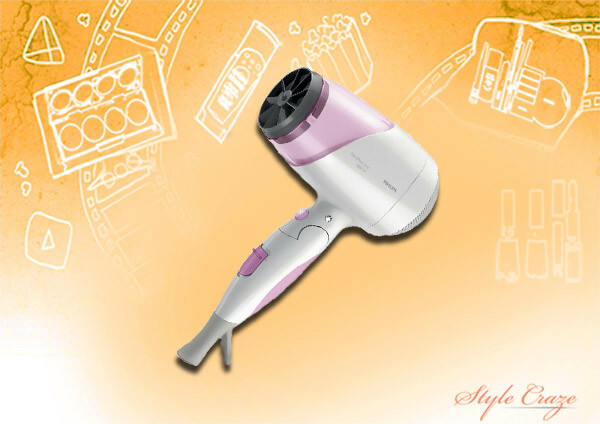 The Philips HP8299 hair dryer has 6 heat/speed settings for you to choose as per your need. It has a slim nozzle for perfect styling and is a 2000 W device. It is best suited for getting frizz-free and shiny hair. The body is black in color with purple dots on it. It has a 2-year guarantee. This Philips hairdryer boasts of being specially designed for Asians. It has been designed keeping the hair quality of Asians in mind. It is a 1600 W device with 6 different speed and temperature settings. It has a narrow concentrator for facilitating focused airflow. It also comes with thermoprotect and EHD+ technology for shinier hair and better care. This one can style and care for your hair at the same time. The dryer brags of Ionic care and come with 1600 W power for gentle drying. It comes with EHD – Even Heat Distribution – technology and has cool air drying setting as well. It offers three speed settings for tailored styling of your hair. This portable hair dryer is small enough to fit in your bag while travelling. It is light in weight and foldable too. It has 1600 W power and a narrow concentrator for focused airflow and better styling. It has dual voltage option for you to use it world over. It also has a travel pouch which stylishly designed to fit in the device and all its accessories. The product is available in various colors and finishes for you to choose from. The device offers a 2-year guarantee. 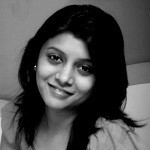 So these were my picks of the best top 5 Philips hair dryers available in India. 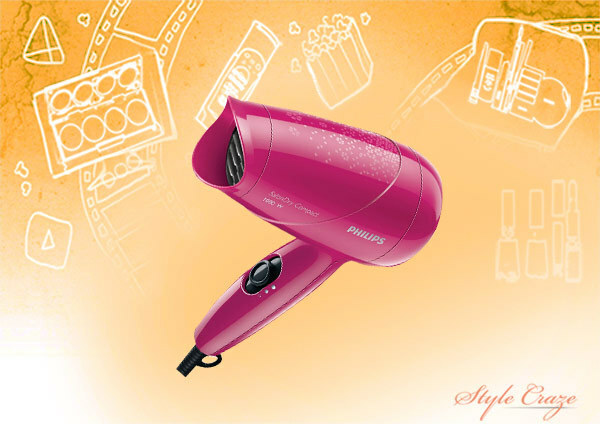 Do you wish to pick up any of these Philips hair dryers or do you already have one? Share with us. Thank you! From drying your hair in a jiffy to styling your hair in half the time required, hair dryer has always been your bae among all tools. Check out the 15 best hair dryers available on the market. Nothing can beat the purely exhilarated feeling of stepping out of the salon with perfectly soft, shining, and bouncy hair after a blow dry. Here is a s tutorial to show you how you can perfectly blow dry hair at home.